Here at Amazing Journeys, we're lucky have the best jobs in the world—and we think our good fortune is worth sharing. So, when your next journey seems like a distant dream, take a few minutes to explore our WANDERLUST blog—it's chock full of engaging tales and helpful tips from our travels around the world. Check out the most recent entry (at the top) or search by your preferred criteria. Consider it motivation for your next embarkation. With Hanukkah coming early this year, the holiday will sneak up on you before you know it! Rather than racking your brain trying to find that perfect gift for friends and family (or telling others what we want), Amazing Journeys to the rescue! Here is our 8 Nights of Hanukkah Travel Gift Idea list! Buy for others or share the list as a hint to what you want! Most travelers fancy themselves explorers, even though they’re most likely not staking claims and charting maps anymore. But that doesn’t mean crossing countries off bucket lists doesn’t offer the same winning feeling. Give something that reminds someone of what they’ve conquered. They will soon be saying, “been there, scratched that!” Available here. Selfie sticks are so last season. Or two seasons ago. In fact, some places have even taken to banning them altogether (Milan, Disney World, the Colosseum). 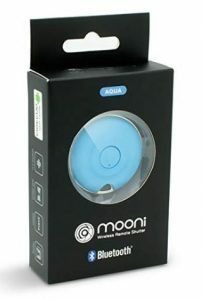 Thankfully for solo travelers the world over, there’s a discreet alternative that doesn’t simultaneously scream “tourist.” Mooni’s selfie remote shutter uses Bluetooth to sync with smartphones so photo takers can get shots without holding their phones at all. With Mooni, users can set their phones on something, step back as much as 30 feet and press the little shutter button to take a picture. It’s the end of the awkward photos with arms in the forefront. Available here. Blank stares in the face of foreign languages will soon be a thing of the past. Google’s Bluetooth Pixel Buds headphones offer a real-time translation feature that’s like an on-hand personal interpreter. 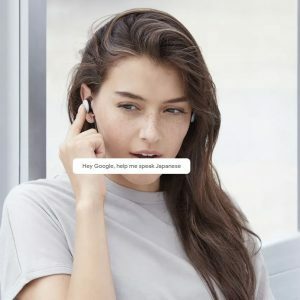 A touch of the right ear bud activates Google Assistant on the phone, and the user can say, “Google, help me speak Mandarin.” All it takes from there is talking into the phone in English and the app will transcribe the sentence in Chinese and say it out loud. 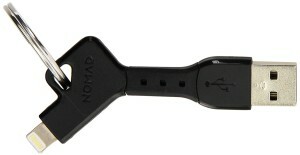 The Chinese speaker in the conversation can also talk into the phone and the buds will translate that back to English. There are 40 languages that this whole exchange could work with. Available here. For the creative traveler, this unconventional journal has far more to it than blank pages waiting to be filled. It’s beautifully illustrated from cover to cover and offers fun challenges and prompts that encourage users to explore the world in a more whimsical way. Available here. 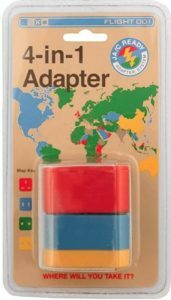 This compact converter enables travelers to plug in in 150 countries, and it comes with a color-coded map to make it easy to determine which prong situation accompanies their destination. Available here. There will always be something that feels more authentic about holding a photograph in your hand over saving it into a digital roll. 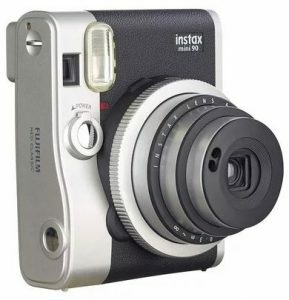 This stylish instant camera is a step above others on the market, offering shooting modes for different environments and a smart flash that calculates exposure based on the distance of the subject for a just-right brightness. Available here. 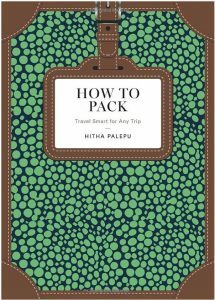 A must-read for anyone who hopes to master packing, this gorgeously illustrated book by Hitha Palepu of the lifestyle blog Hitha on the Go offers advice on not just what to bring, but the best way to bring it, too. Available here. Not sure where you want to go next but itching to travel? Gift certificates help to get you on your next life changing vacation. Available here. Looking for more ideas? Check out our suggestions from 2014, 2015, 2016 and 2017! Enjoy your holiday shopping, happy Hanukkah and hope to travel with you soon! With Hanukkah right around the corner, we’re all racking our brains, trying to find that perfect gift for friends, family, or what to tell others we want… Amazing Journeys to the rescue! Here is our 8 Nights of Hanukkah Travel Gift Idea list! Buy for others or share the list to hint at what you want! 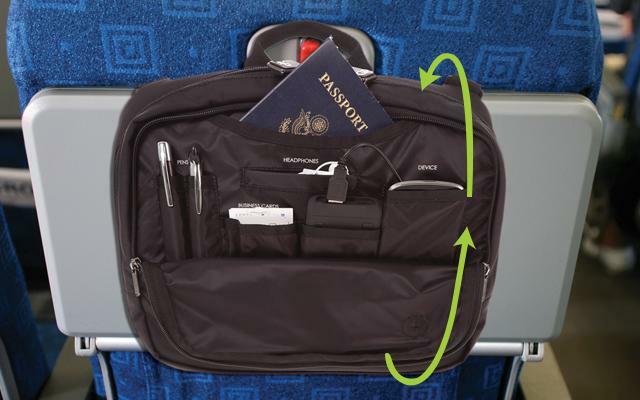 Hang this handy organizer on the airline seat in front of you for convenient access to your phone, tablet, charger, headphones, and reading material. Just stash it back in your carry-on when you leave – no items left in the seat pocket. Available here. 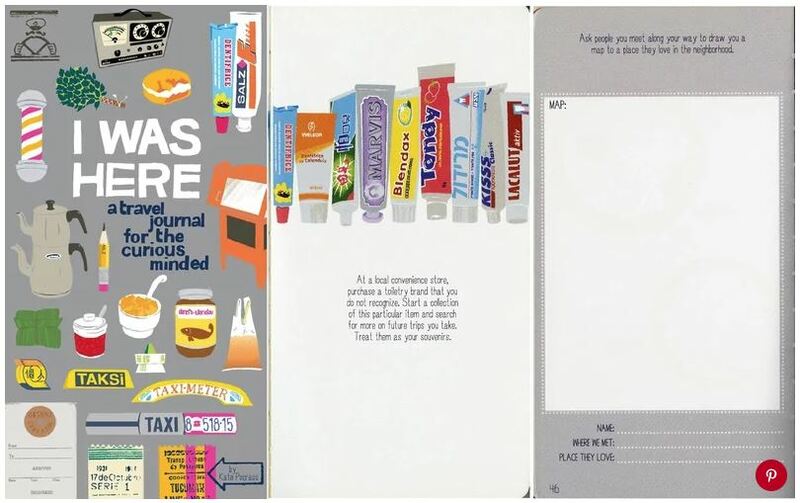 Travel safe with your everyday essentials organized. 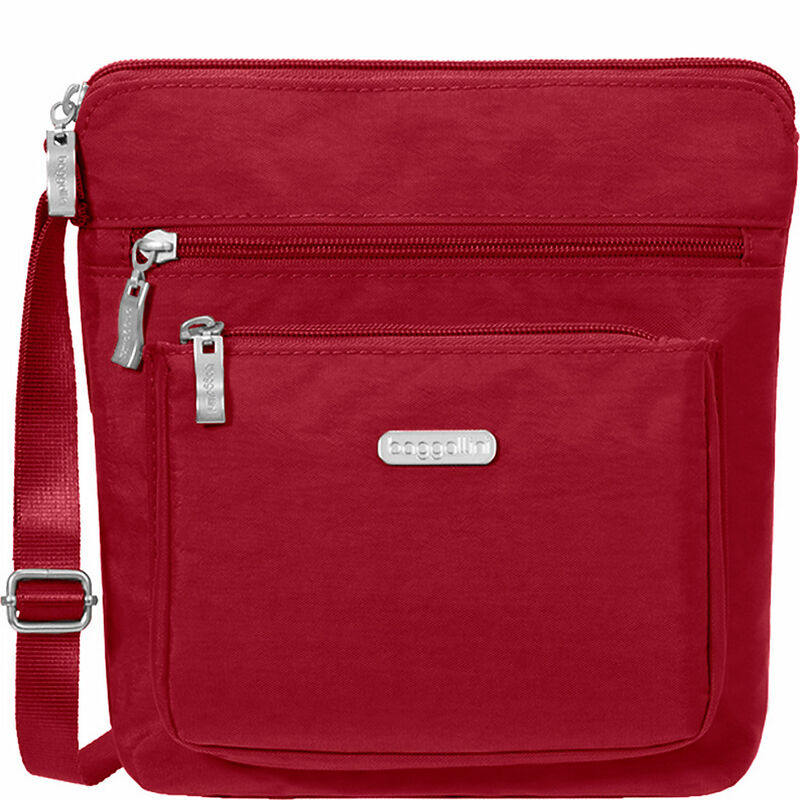 This handbag is designed for security with RFID protection, slash resistant body and shoulder straps. Available here. 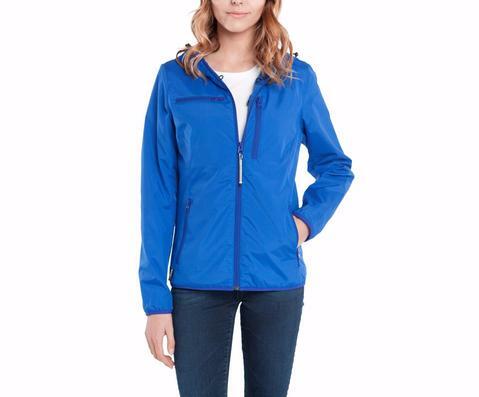 An all-weather, sleek water-repellent windbreaker jacket with 15 features like built-in sleep mask, passport pocket, stylus and more. Available here. If you don’t travel because you need your CPAP machine, now you don’t have any excuses. Sleep well even on the road. Available here. So small that it’s essentially a padded scarf, this travel pillow made with hypoallergenic fleece holds your head almost completely upright. 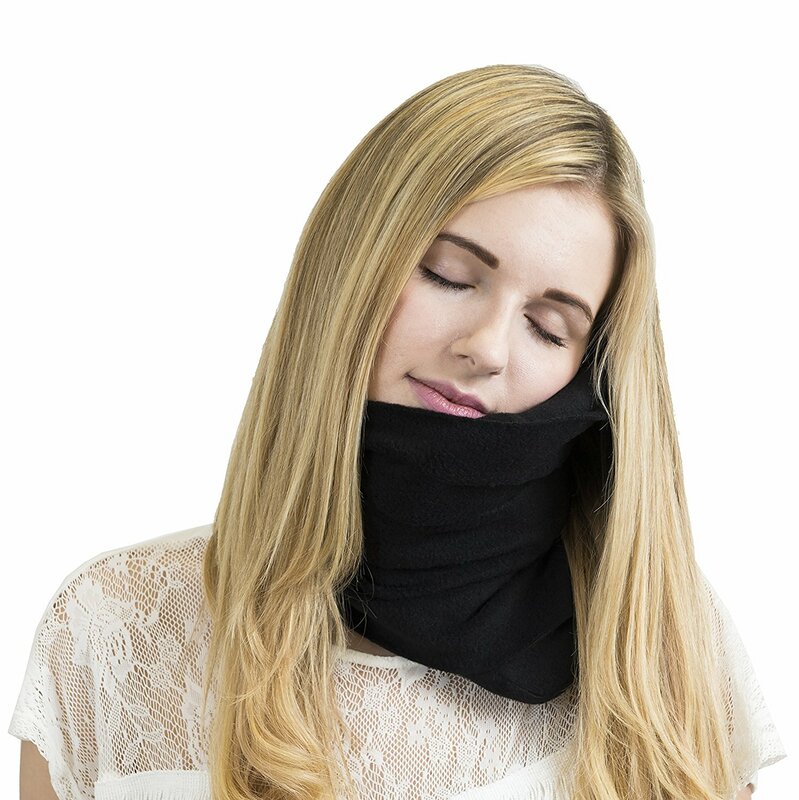 You can even place it beneath your chin to keep your head from drooping. Available here. There are few things that can make a person more anxious than being on the go when their phone’s about to die. This keychain comes with a built-in USB to charge your phone. Available here. 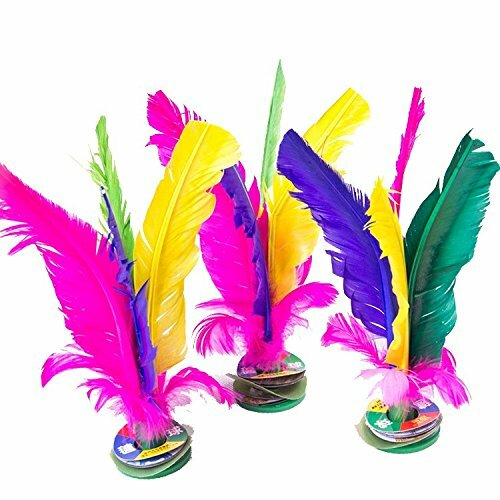 Lightweight and easy to learn, the Chinese equivalent of Hacky Sack is the travel game that’ll keep you occupied no matter how long your flight’s delayed. We dare you to be THAT person at the gate! Available here. Looking for more ideas? Check out our suggestions from 2014, 2015 or 2016! 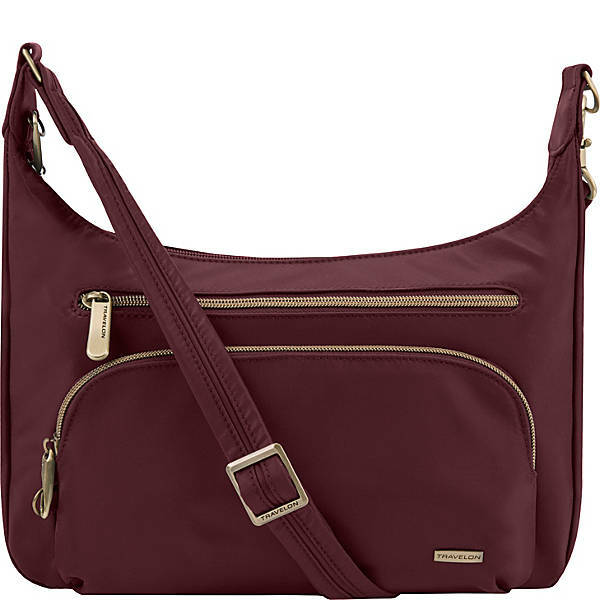 This is a stylish travel purse that’s not overly large or bulky, proving it’s possible to look fashionable even when you’re on the go. Comfortable, the perfect size and RFID protected. Available here. 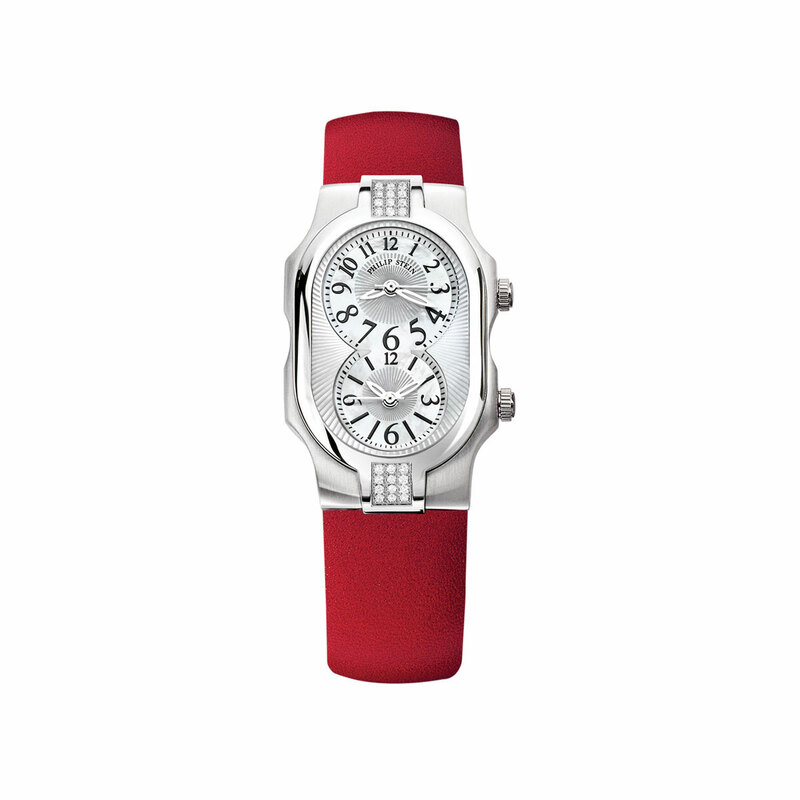 Functional, stylish, classy – this Philip Stein two time zone watch allows you to know the time wherever you are, plus the time back home (so you don’t call to check in at 2am). Available here. Always losing your keys, your wallet, your mind? 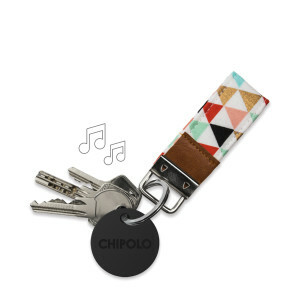 Just attach, drop or stick Chipolo to the things you care about and make them ring when you get close. Available here. With insect-borne viruses causing traveler anxiety, apparel treated with Insect Shield can help keep globe-trotters protected. Available here. Taking car rides with kids soon? 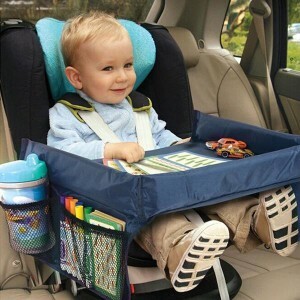 The Kids Portable Play Travel Tray provides a sturdy surface for travel treats and toys. Available here. Don’t have room for multiple pairs of shoes in your suitcase? How about shoes that you can swap out the the heel bringing it from flats to heels? Available here. Infinity scarf with a built in pocket to be super versatile and incredibly stylish. Not only can you use the hidden pocket to stash your stuff, but you can also wear it in a variety of ways. Available here. Looking for more ideas? Click here to see last years list of gift suggestions. 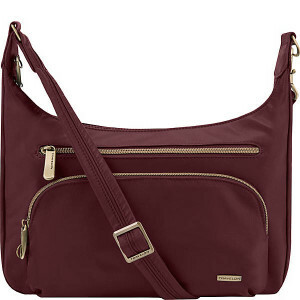 A new addition to the AJ staff wardrobe, this travel bag is perfect for travel with its slash-proof locking pockets, cut-proof shoulder strap that attaches to chair and RFID blocking card slots. Available here. 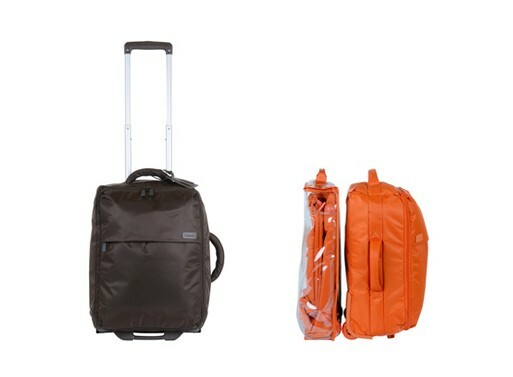 This carry-on weighs less than 5 pounds and when you are done wheeling it around the airport, collapses into a much smaller, space-saving pouch. 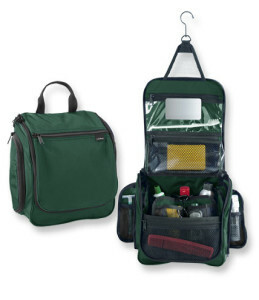 Use it as a mid-sized backpack or tuck it into a space-saving fanny pack. It’s a lightweight quick-change artist that’s great to have on the road. Available here. 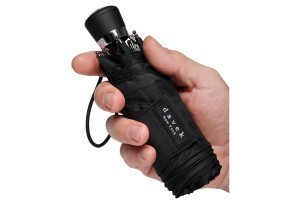 This is the perfect “just in case” umbrella. Measuring less than 7 inches when closed, this pocket-sized protection makes sure you are never caught without an umbrella again. Available here. Constructed in a lightweight rubber, the leg of the boot folds down, wrapping around the shoe for easier packing and transportation. Available here. 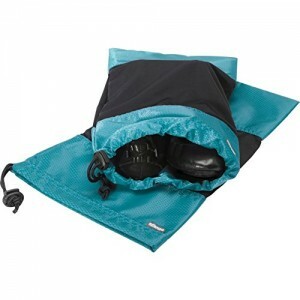 Protect shoes and clothing from dirt and debris as you explore the great outdoors. Available here. Make sure you are comfortable on planes, trains and buses with this lightweight travel pillow. Available here. 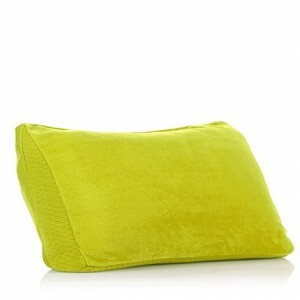 Keep your legs comfortable and ready to hit the ground running after sitting for hours on exhausting flights. With Hanukkah right around the corner, we’re all racking our brains, trying to find that perfect gift for friends, family, or what to tell others we want… Amazing Journeys to the rescue! 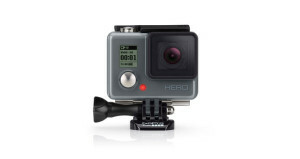 Here is our Top Ten Travel Gift Idea list! Buy for others or share the list to hint at what you want! This portable charger minimizes cable clutter by placing multiple charging outlets on a single unit. 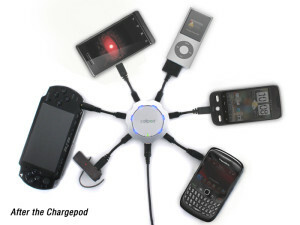 You can refuel up to six devices simultaneously while occupying just a single wall outlet. Available here. 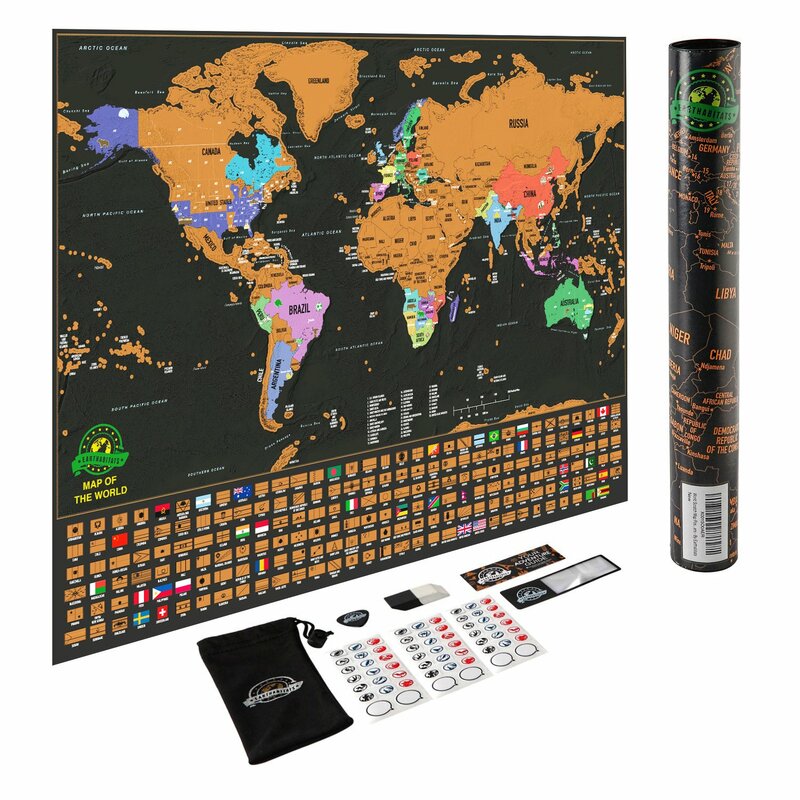 Track your travels with a scratch-off-where-you’ve-been map that charts globetrotting in a fun, colorful and innovative way. Scratch off the areas you’ve visited and show off your travel progress! Available here. Another way to save space in your bag! 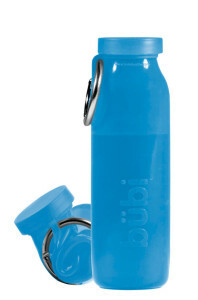 Roll it up and a metal loop keeps the bottle scrunched up so it fits easily into your bag. Available here. Want to take pictures as you take a dip in the pool? 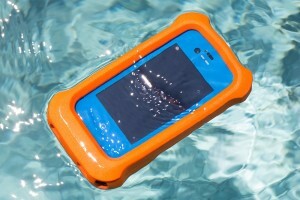 Throw your iPhone in a waterproof case and life jacket and let it float right alongside you. In a world of overpacked schedules (and suitcases! ), ironing isn’t always an option. 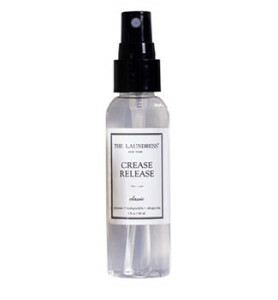 As soon as you make it to your destination, unpack your clothes, give them a quick spray and blast of the blow dryer and start looking fabulous. Available here. This rugged, waterproof, portable camera will take all the action shots you ever need to become the adventurous envy of all your friends back home. Available here. Whether you’re reading up on your next destination, learning about a new culture or just escaping from reality, its always great to travel with a book. And who knows? When you’re done with your book, you can always trade with a friend on your trip and read their new favorite, too! Available here. 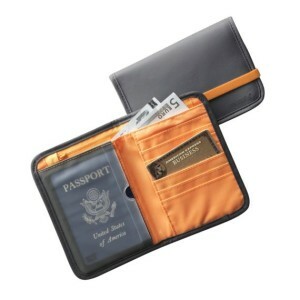 This lightweight organizer protects your passport, ID and credit cards from identity theft with advanced RFID-blocking technology. Thieves with scanners can’t get at the radio-frequency tags embedded in your cards and documents because of the secure lining that shields your information. Global Entry is a program that allows pre-approved travelers the opportunity travel easier at the airport. Once you have been approved for Global Entry, you can use this for Pre-Check, a special quick security line in most major US airports, allowing you to breeze through while keeping your shoes and belt on, your liquids stored away and your laptop snuggly in your carry-on. 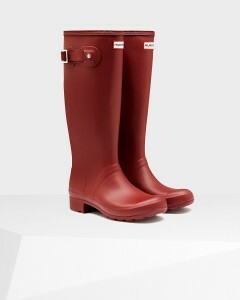 How nice is that? There is an application process but we think it’s worth the work upfront, knowing how much time it will save at the airport. Available for US citizens only. This is the very favorite of our AJ staffers. If you’re looking for an easy way to pack and unpack while on tour, here is your answer! Throw all of your socks into one, your accessories in another and your shirts into the larger one. When its time to unpack in your stateroom or hotel room, you know where everything is and you’re done in 3 minutes. Simply unzip the cube, open the top, and lay right inside of the drawer. When it’s time to pack it up again, zip it all up and throw it in the suitcase. Only staying at the hotel for a day or two? Leave it all in the suitcase and reach right in to easily find what you are seeking! Available here. Our recent tour to Italy was packed full of pleasures and treasures! The images of Italy in one’s mind are as different as the individual themselves. One may visualize a Tuscan villa set amongst gently rolling hills covered with vineyards and lavender, some picture the greatest art treasures such as Michelangelo’s “David” and fresco covered cathedrals, others see an outdoor café where locals are sipping cappuccino, and some imagine themselves shopping for some of the world’s best leather shoes, handbags and gloves, or amazing ceramic pottery, high fashion or Murano glass. Italy is all this and more! Last week, 21 Amazing Journeyers returned from an experience in the Northern Italian countryside, cities, villages and lake districts. 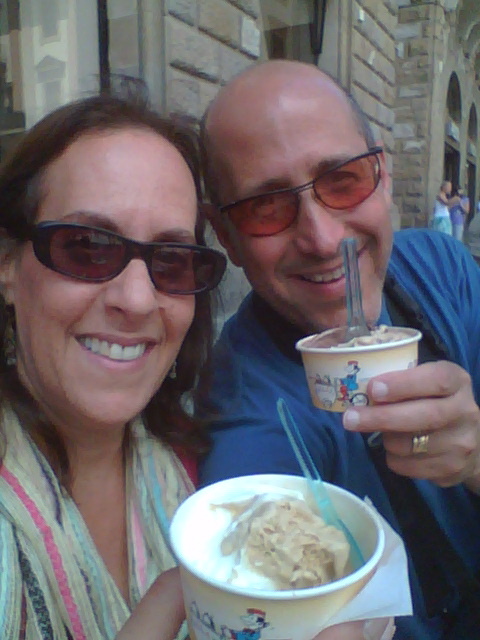 We experienced Italy “off the beaten path” as we visited such amazing places as Stresa on Lago Maggiore; Lucca, Siena, and Florence, all in Tuscany; Bologna and the always fascinating city of Venice. 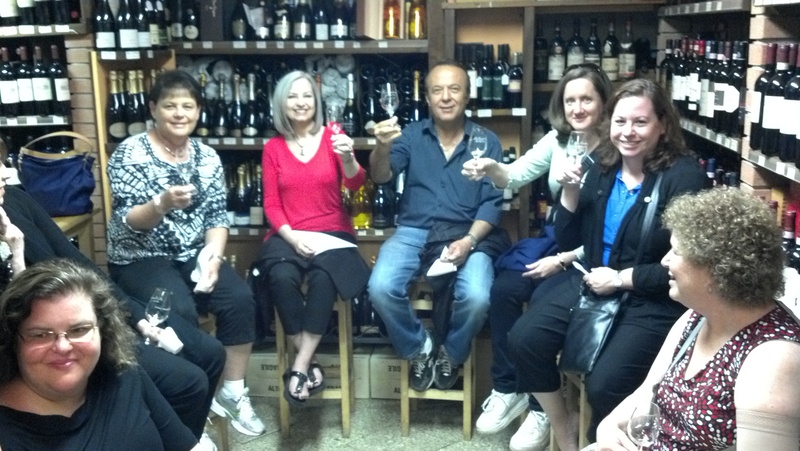 We began the tour with a tasting event with vintage wines and aged balsamic vinegars from Rosario, a local woman who has experienced life in Italy from the time of WW II to today, as she shares her passion and knowledge of the foods, spices and wines of Italy. That was only the beginning of more surprises we had in store for us on our journey. 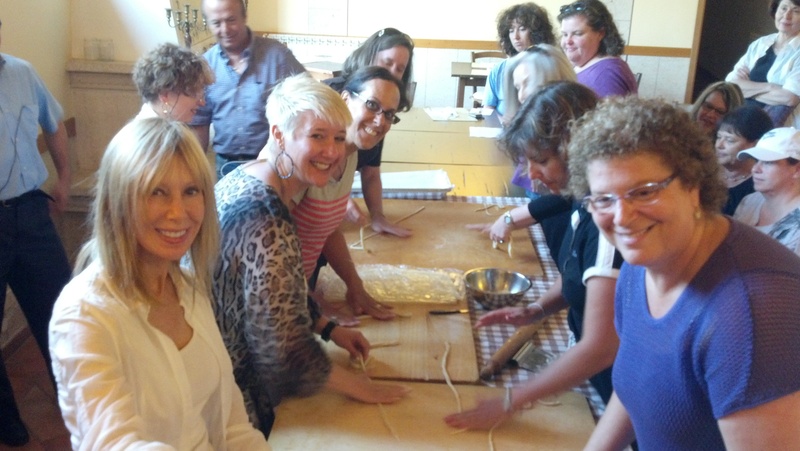 One of the highlights for many of the group was our day spent in a Tuscan villa where we had a cooking class and got our hands into the pasta, which we then rolled out like pros and enjoyed at lunch. We watched a demonstration by our personal chef of a fabulous dessert, which we also enjoyed later, along with the wines we saw them make and then tasted. Tasting the meats of Bologna (I searched for the statue of Oscar Mayer but he was nowhere to be found!) and the cheeses of Parma were unparalleled. Along with wines, our tour of Bologna was nearly complete. We also saw the University of Bologna where the oldest Torah scroll in the history of the world was just found and dated. It had been in the library there for centuries! Walking tours of Lucca, Siena, Florence and Venice provided us the insight to experience the rich history of the people of Italy and their culture. With lots of free time in each, we filled our days with exploration, shopping and photography, along with enjoyable lunches in some of the best Trattoria’s, where “Mama” still does the cooking. 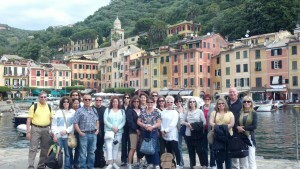 Portofino and the Cinque Terra were enjoyed by the entire group. Five fishing villages spread out along the Ligurian Coast as they have been for centuries, connected only by train. Some in the group visited two villages, others three and a few saw four villages. This was true and untouched Italy. Many in the group vowed to taste the flavors of Italy on a daily basis: some swore to have a gelato every day, others began each day with a cappuccino, some decided to have a pizza-a-day, while others honed in on wine each and every day. Whether your passion was tasting the unusual or comparing the typical, none of us went home disappointed. The foods and wines of Italy are always amazing! 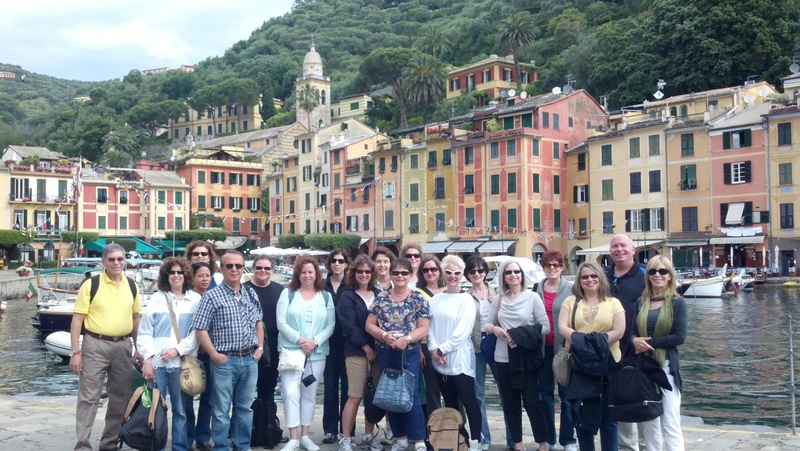 For those who just returned from our Italy’s Treasures tour, your experiences will provide memories you will never forget. If you are heading to Italy with us on our Cruise the Med trip next month, get ready for an opportunity to fill your senses with amazement! Our advise to you—leave room in your suitcase…you’ll be coming home with lots of new-found delights! 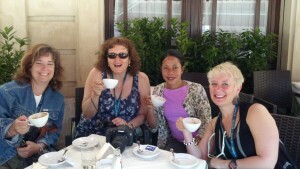 Posted in Blog | Comments Off on Our recent tour to Italy was packed full of pleasures and treasures! With Hanukkah right around the corner, we are all racking our brains, trying to decide on that perfect gift for friends, family, or what to tell others we want… Amazing Journeys to the rescue! 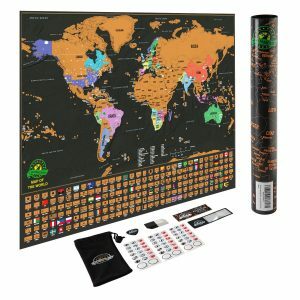 Here is our Top Ten Travel Gift Idea list! Buy for others or share the list to hint at what you want! Click on the pictures for more details or search the web for other similar options. 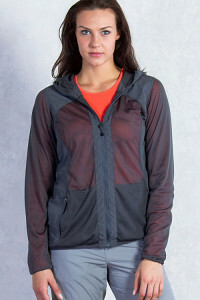 It’s always a good idea to have an extra layer when you travel – you never know when the temperature might drop or the rain clouds may roll in. 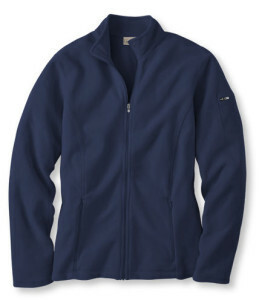 Throw a fleece in your suitcase and you will always be prepared for unexpected weather. When traveling in foreign countries, it’s smart to keep your money, credit cards and passport under your clothes and out of plain sight. This neck wallet is thin and won’t be bulky under your clothes, and allows you to carry everything with you without looking like a tourist. Avoid paying overage charges at the airport by making sure your suitcase is the right weight. 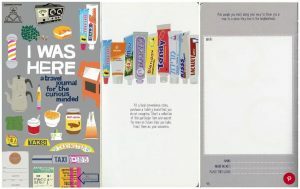 You can even pack it so you know how many souvenirs you can bring back with you! Plug in your appliances in any country you visit. Pick an adapter set that has many options so you will always be able to charge up those trusty electronics, no matter what part of the world you are in. 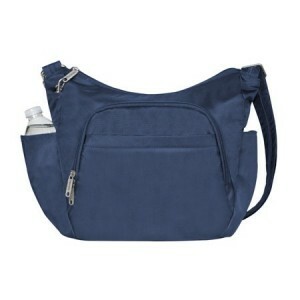 As worn by AJ staffers Malori, Erin and Stacey, it is a favorite travel accessory. Black is our “go-to” color, but it comes in many shades as well as sizes. We think the large shoulder tote is the perfect size. 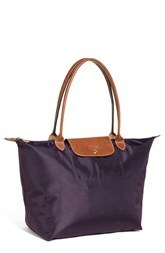 Although there are a lot of knock-off’s of these brands, we’ve tried many, so trust us when we say that the one made by Longchamp will hold up where the knock-offs have lasted anywhere from a day to a year. 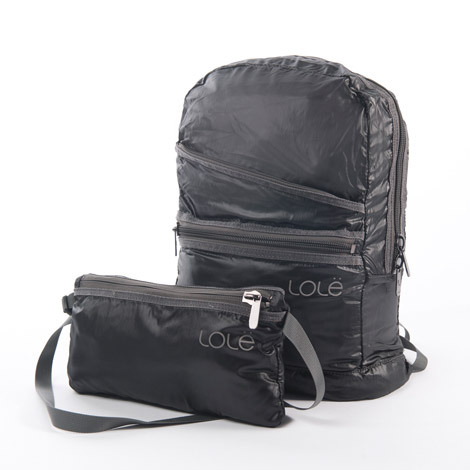 Great for exploring, this bag can be used across your body, allowing for more security while still providing easy access to everything you need. 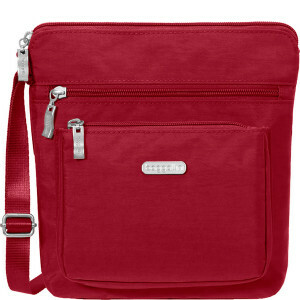 These bags come in a bunch of fun colors so not only are you traveling safely, but stylishly too! Whether you’re reading up on your next destination, learning about a new culture or just escaping from reality, its always great to travel with a book. And who knows? When you’re done with your book, you can always trade with a friend on your trip and read their new favorite, too! 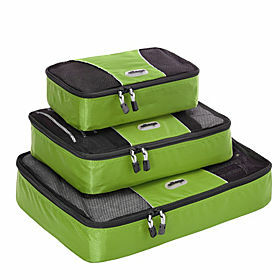 These cases allow you to be super organized. You will be sure to pack everything you need while making sure you don’t schlep those huge bottles of shampoo for a week long vacation. When you get home from your trip, just refill the used items and put the bag away until your next trip. It will be all packed up and ready to go, saving you hours of prep time for your next journey. This is the very favorite of our AJ staffers. If you’re looking for an easy way to pack and unpack while on tour, here is your answer! Throw all of your socks into one, your accessories in another and your shirts into the larger one. When its time to unpack in your stateroom or hotel room, you know where everything is and you’re done in 3 minutes. Simply unzip the cube, open the top, and lay right inside of the drawer. When it’s time to pack it up again, zip it all up and throw it in the suitcase. Only staying at the hotel for a day or two? Leave it all in the suitcase and reach right in to easily find what you are seeking!